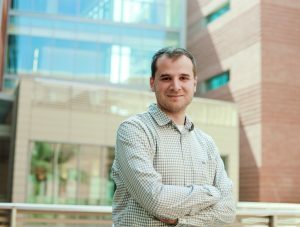 Professor Mathieu Bauchy, a computational materials scientist and Assistant Professor in the Civil and Environmental Engineering Department at the UCLA Samueli School of Engineering, has received three major federal grants totaling $1.3 million to develop tougher glass that can safely immobilize nuclear waste, as well as new types of glass that are more resistant to breaking and scratching. An $800,000 grant from the U.S. Department of Energy’s Nuclear Energy University Program will support research to ensure that the types of glass used to immobilize and secure nuclear waste are durable enough to prevent radioactive materials from leaching into the environment. The process, called vitrification, incorporates the radioactive elements into the glass itself. Following this process, the now-immobilized materials will be stored in underground depositories enclosed by steel and concrete, isolating them from the environment for millions of years until they have decayed into safer compounds. However, there is some concern that eventual exposure to groundwater, along with high temperatures, could dissolve the glass materials before they decay. This could allow the radioactive elements to escape earlier than anticipated. Bauchy’s research group, along with Gaurav Sant, a UCLA Associate Professor of Civil and Environmental Engineering, and collaborators at the Pacific Northwest National Laboratory, will develop models to predict and enhance the long-term durability of nuclear waste glasses. The research is part of a major effort to immobilize the 56 million gallons of radioactive waste that are presently stored at the Department of Energy’s Hanford Site, a former nuclear materials production facility in Washington state. The second and third grants, for $250,000 each from the National Science Foundation, will support research to make glass more resistant to cracking and scratching. This research will not only address practical applications, such as smartphone screens, but also potentially expand the material’s use into other areas, such as flexible protective covers for computing devices, thin and fuel-efficient car windshields, light yet strong windows, and photovoltaic solar cells. 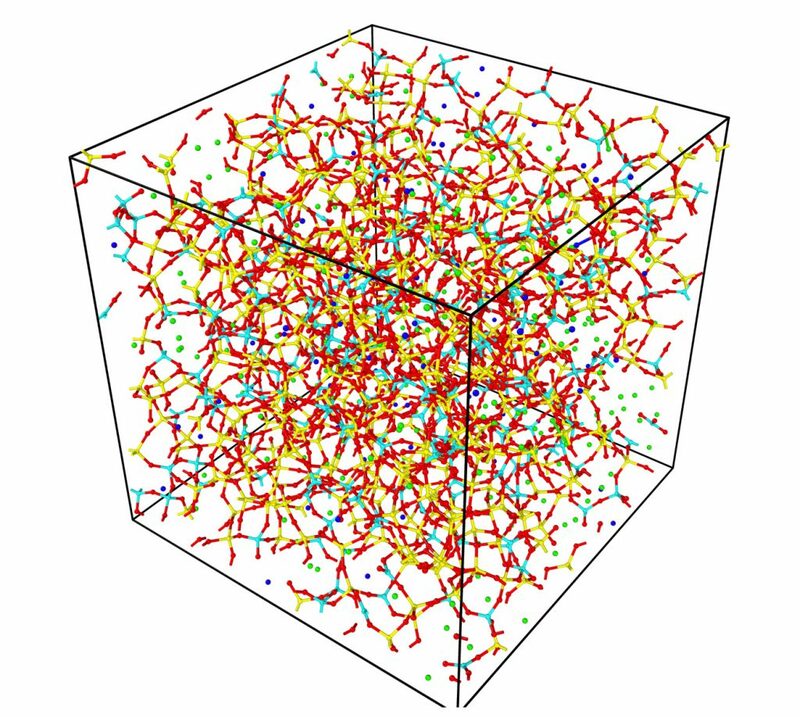 Picture: Atomic structure of a borosilicate glass, used to immobilize radioactive material.